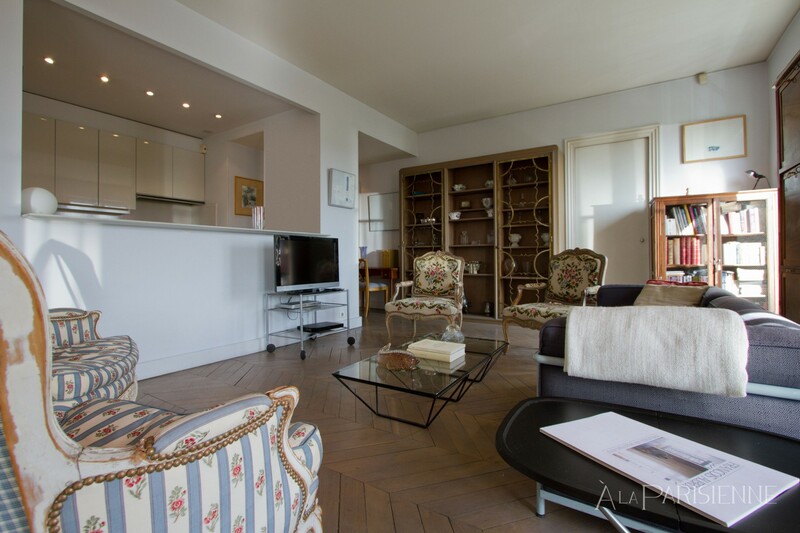 Overlooking the Tuileries Garden this 190m square apartment with 3 bedrooms and the best vue of Paris! 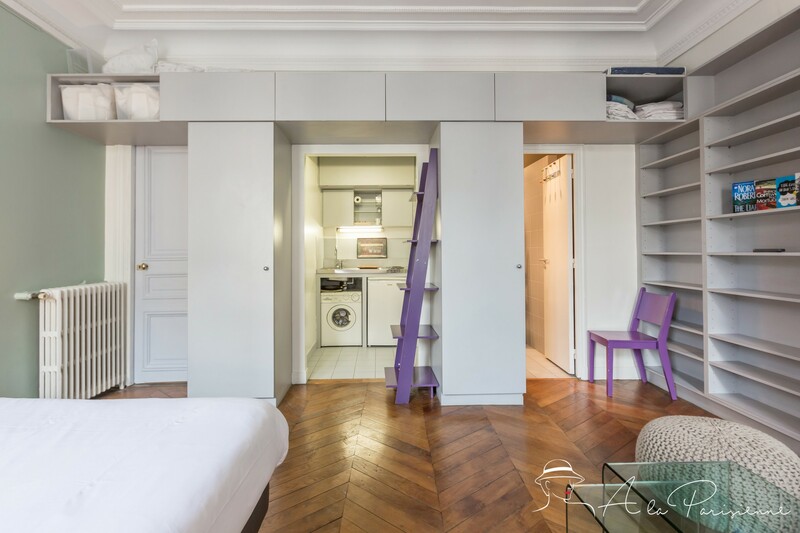 Set on the 3th floor this 3 bedrooms apartment have a first bedroom studio style of 30m square and more 2 bedrooms. 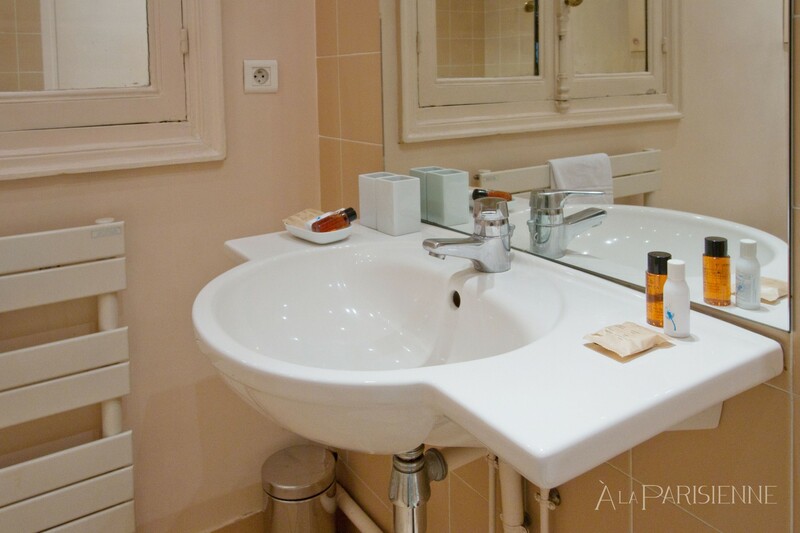 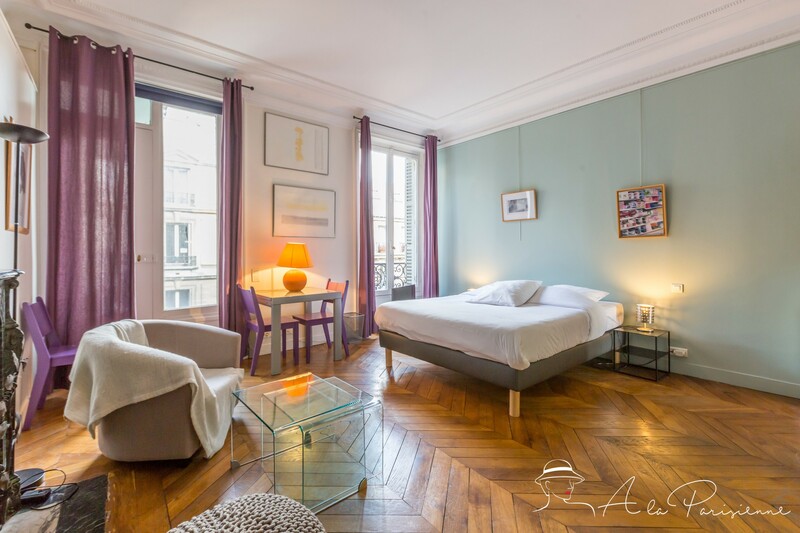 Located at Rue de Rivoli the building is suchlike luxurious city hotel with a stunning entrance hall with staircase in wood, marble and iron, and a lift of 30s style. 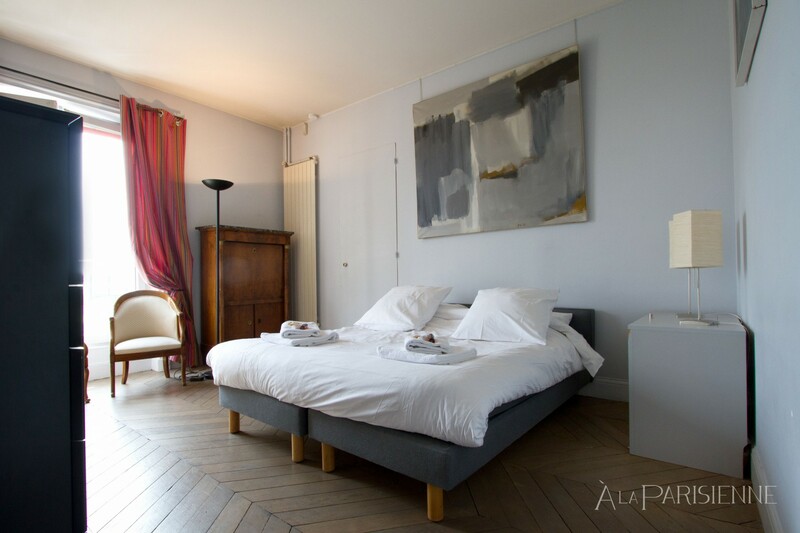 The first bedroom studio style is ideal for a couple or one single person. 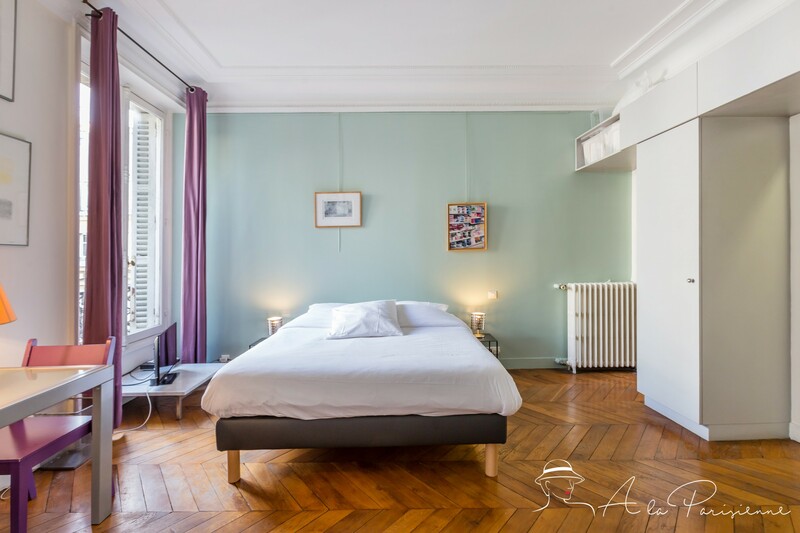 There have a kind size bed, wardrobe, wood floor, TV, internet, DVD and a well equipped small kitchen with wash machine, microwaves, electric cook, coffee machine, small fridge and all necessary kitchen utensils. 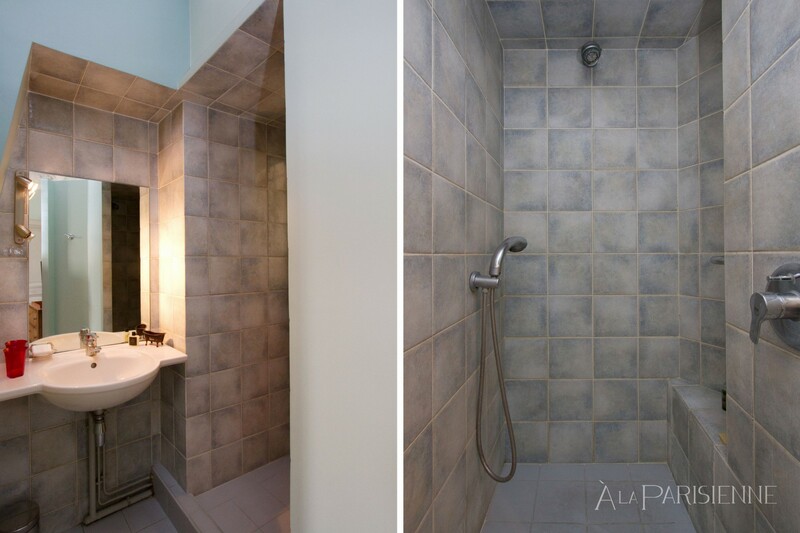 The bathroom has a shower, washbasin and WC. 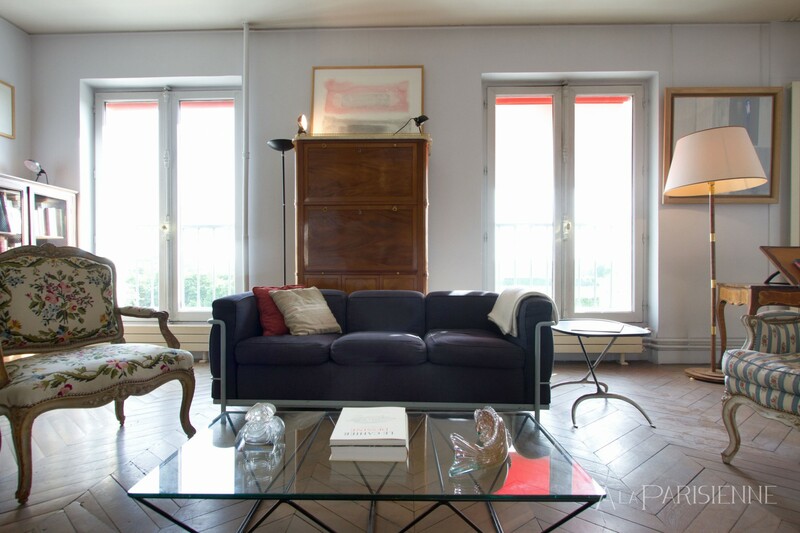 The windows overlooks an interior courtyard. 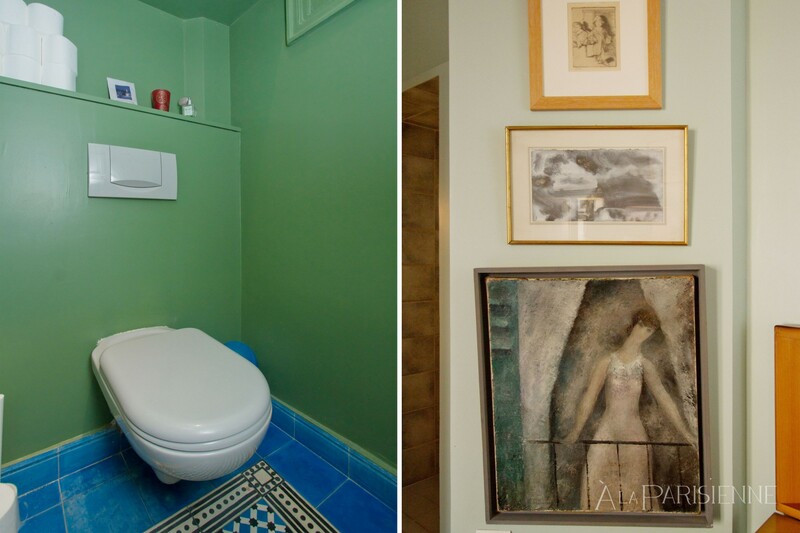 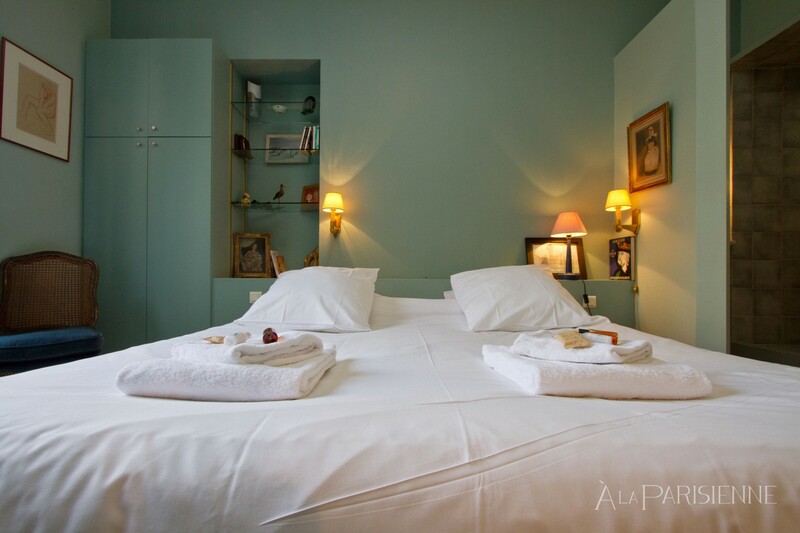 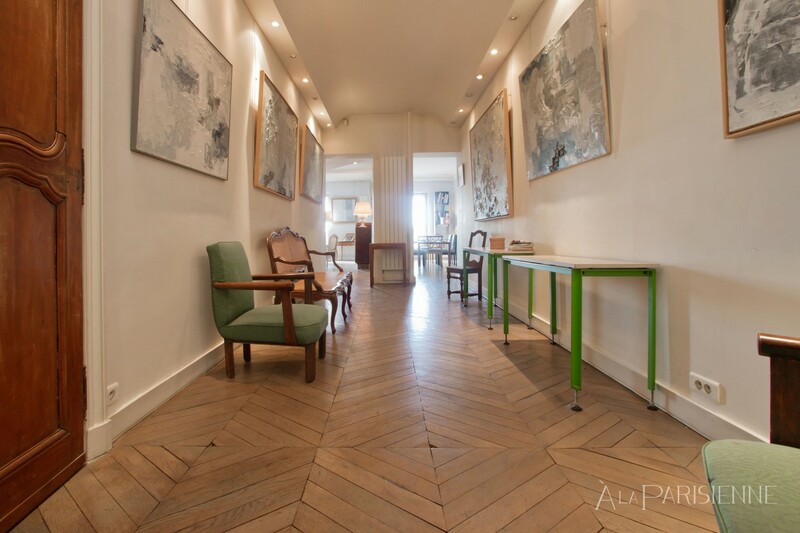 The apartment it consists of a stunning entrance hall with paintings from Aubrun artist. 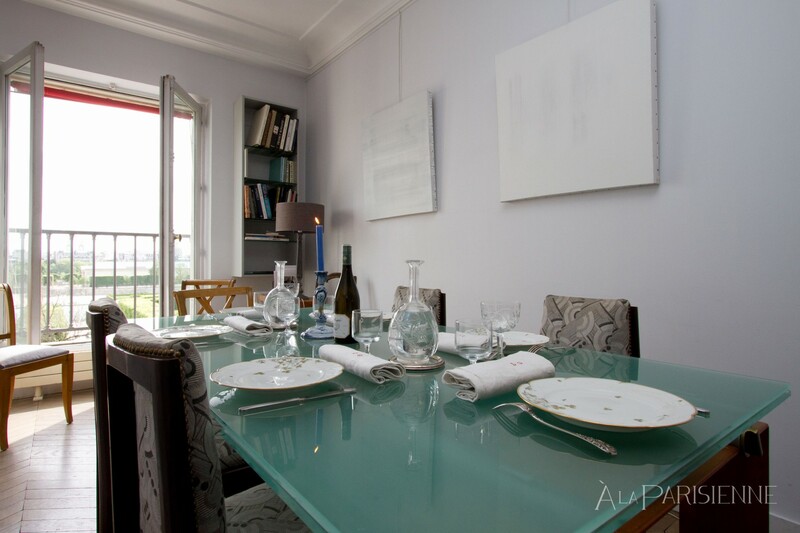 The space to dine has a table for 6 people and in the living room there is a sofa, armchair and classic furniture style. 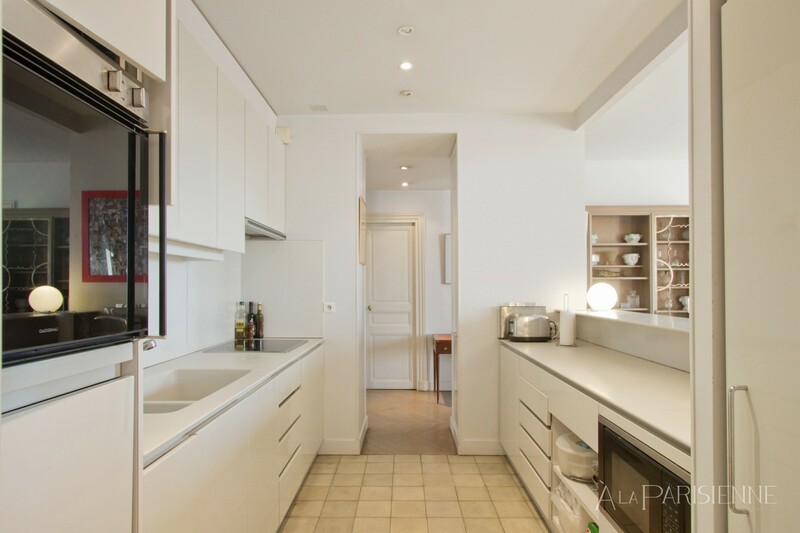 A well equipped american kitchen has oven, microwaves, coffee machine Nespresso, toaster, induction cook, fridge/freezer and all necessary kitchen utensils. 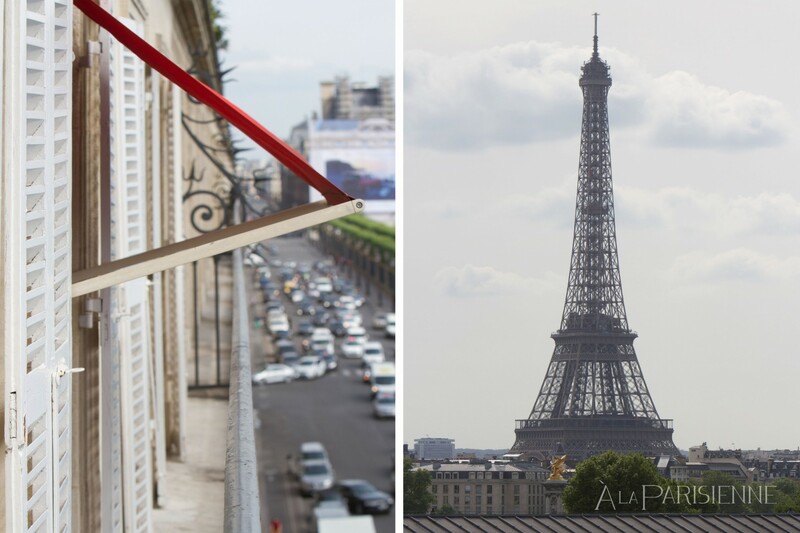 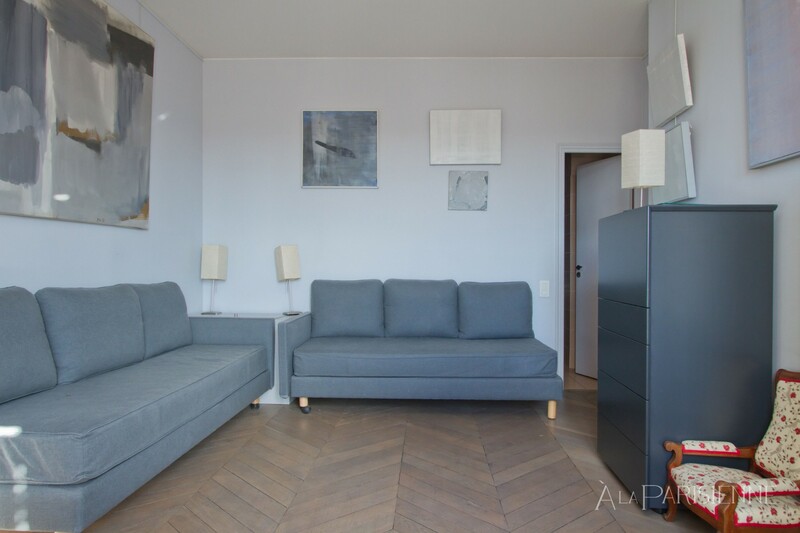 The most attractive feature of this apartment is the huge balcony with panoramic overlooking of Paris with the most important touristic places such as: Louvre Museum, Tuileries Garden, Place de la Concorde, Tour Eiffel, Grand Palais and Invalides. 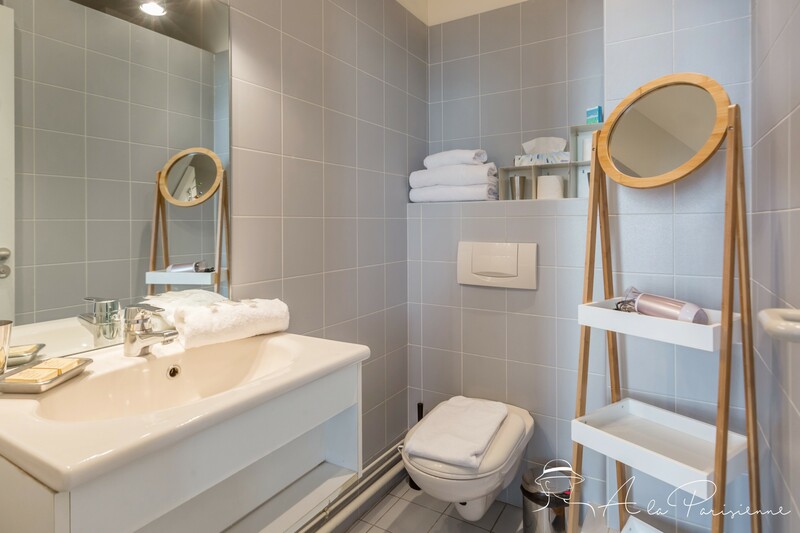 The first en suite bedroom there are two single bed that together became a double bed and in the bathroom there is a big bathtub, shower, washbasin and WC. 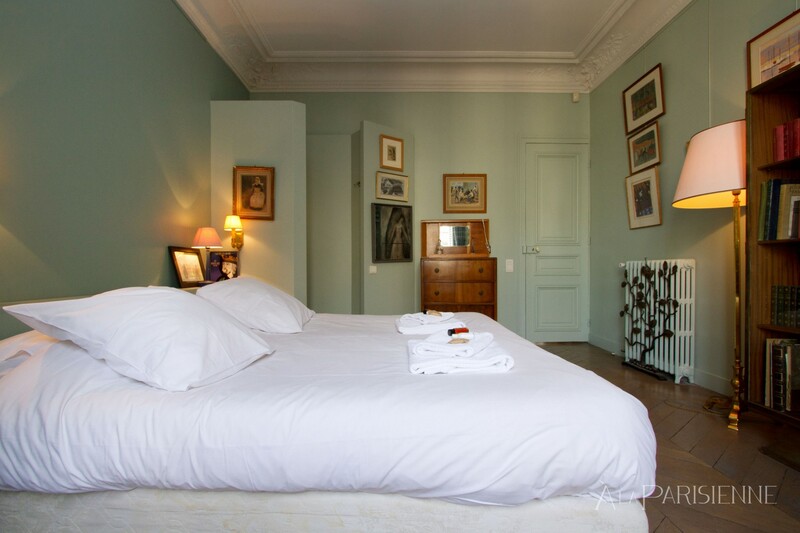 The second en suite bedroom there is a king size bed (180cmX 200cm), wardrobe and a small bathroom with an Italian shower and washbasin. 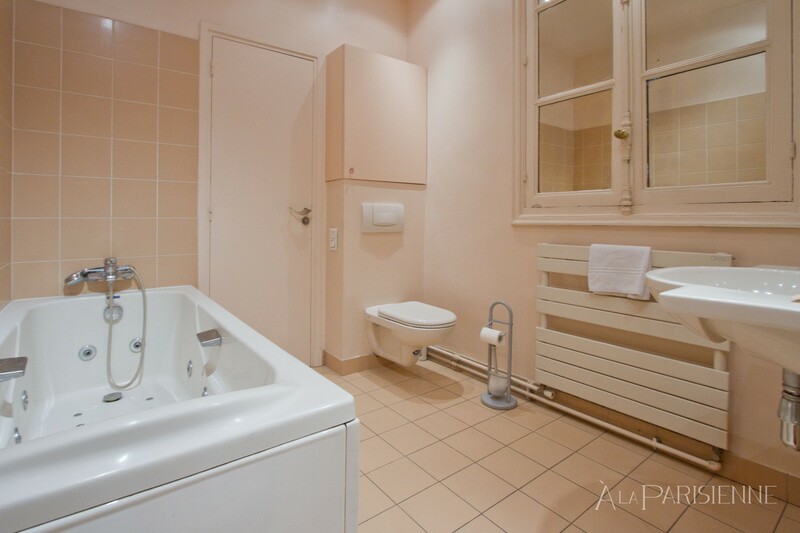 There is a separate WC located between the two bedrooms and a small laundry room with wash and dry machine. 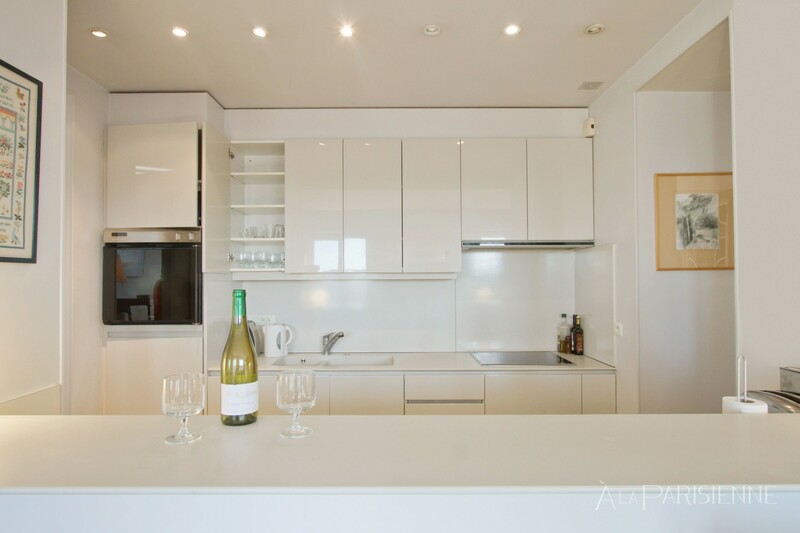 This apartment is ideal to accommodate families who enjoy space and freedom. 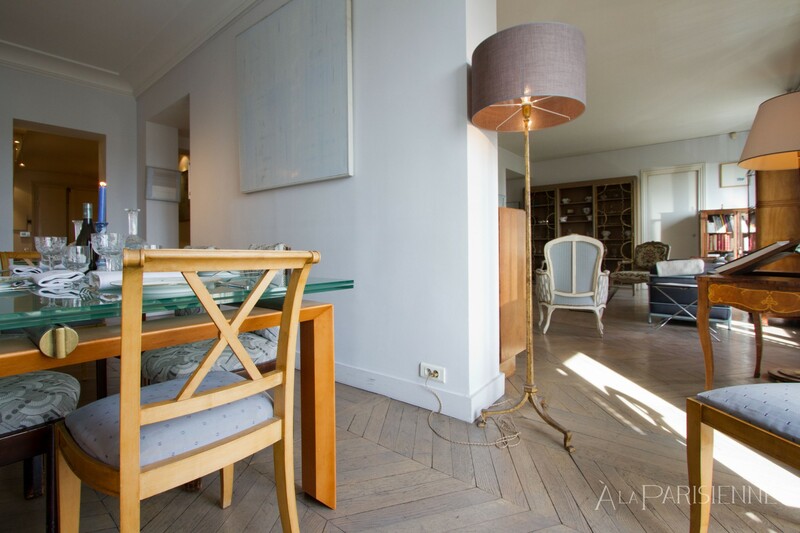 Boasting a superb location in front of Tuileries Garden, few meters from Place de la Concorde and very close to Rue Saint Honoré and Place Vendôme both known for their boutiques and jewelry shops. 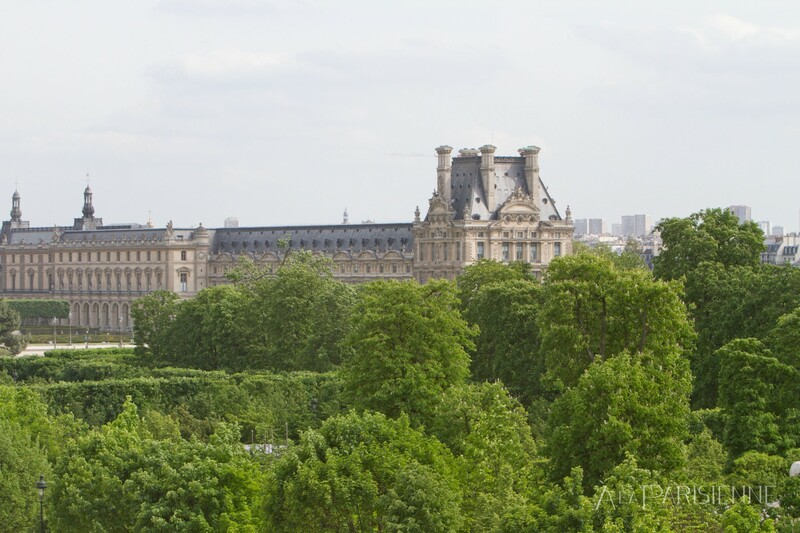 Tuileries Garden is perfect to have a walk or make a pic-nic on a sunny day besides the easy connection with Louvre Museum. 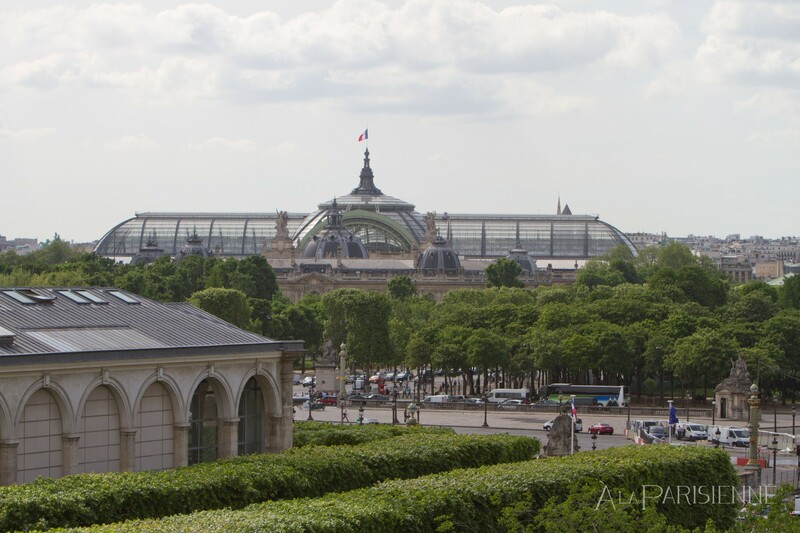 Close to many tourist points makes easy a good walk to Champs Elysées Avenue, Madeleine Church, Louvre Museum and River Seine. 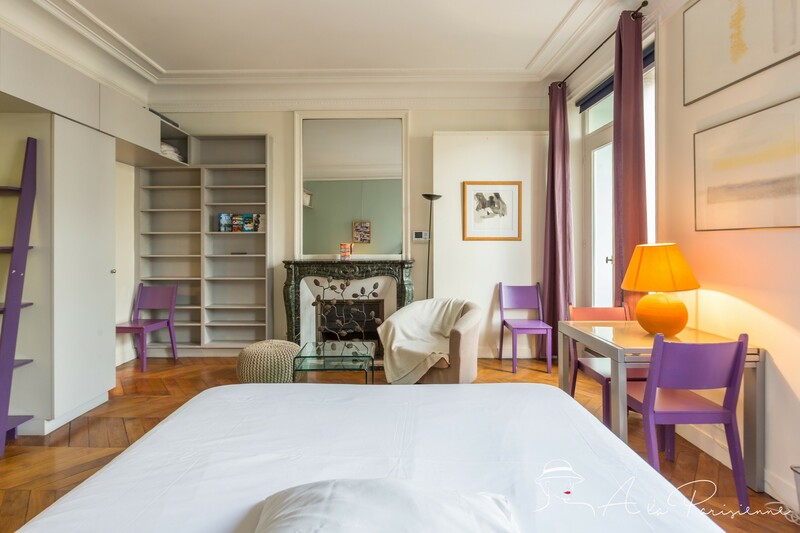 Parisian style commerce and many restaurants are not far away of this superb location. 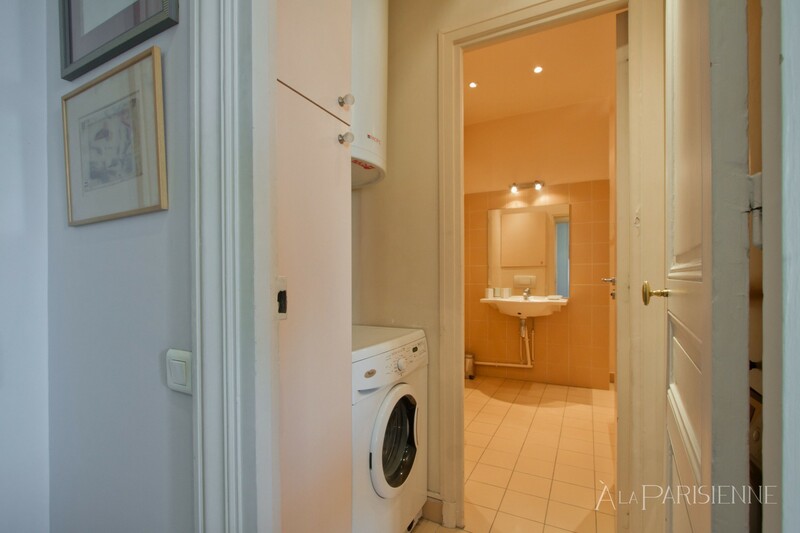 2 TVs, TV Satellite, 3rd floor, lift, iron, internet (Wi-Fi), hair dryer, 190 m² property, central heating, 2 fans.